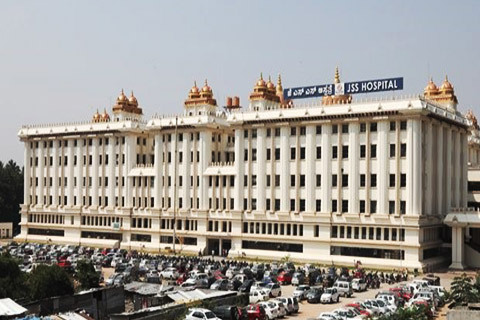 The Sixth Annual National Conference of Association of Physiologists of India (ASSOPICON - 2019) will be held from 11th to 14th September 2019, at JSS Medical College, Mysuru, Karnataka. The details of the conference schedule will be circulated shortly. All the ASSOPI members are requested to participate in large number along with their colleagues and students to make ASSOPICON 2019 a grand success. Human physiology is a scientific study of the functions and mechanism which work within a living system. It forms an integral part of the curriculum for most of the undergraduate and a large number of postgraduate courses offered by the Faculty of health & biomedical Sciences. It serves as a basic pillar for the biomedical research and innovation of novel therapeutics. Translational research in human physiology is “bench to bedside” bridge, focused on translating useful information from laboratories to hospitals to improve health outcomes. The Department of Physiology, JSS Medical College, JSSAHE&R, Mysuru along with Association of Physiologists of India is privileged to host the prestigious 6th annual national conference of Association of Physiologists of India, ASSOPICON 2019. We cordially invite all the physiologists of the country to the conference which will be held from 11th to 14th September 2019. The Objective of the Conference is to reach the advancement in the Field of Physiology by the global gathering and meeting of researchers from various diversities to share the knowledge by the delivery of lectures, paper presentations or as a delegate in the scientific forum. JSS Academy of Higher Education & Research, formerly known as JSS University, is a deemed to be university located in Mysuru, Karnataka. It was established in 2008 under Section 3 of the UGC Act 1956 and is a part of JSS Mahavidyapeetha, which runs an array of educational institutions. JSSAHE&R, accredited by NAAC with A+ Grade in July 2018, is a culmination of a half century of perseverance in the field of education, steered by the philosophy of noble minds. Imparting value based education has been the vision plan of this university. National Institutional Ranking Framework (NIRF) has ranked JSSAHE&R with 37th place in 2018. TIMES World University Ranking 2019 has ranked our university in the rank band of 251 – 300 and 1st in India under subject “Clinical, Preclinical and Health”. 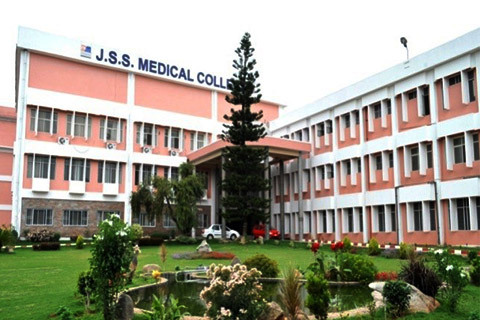 JSS Medical College, Mysuru is a constituent college of JSSAHE&R, established in 1984. It is dedicated to serve the society as a centre of excellence with an emphasis on a socially meaningful medical education, research and healthcare. The college under efficient governance is striving towards providing competency based education. Department of Physiology, JSS Medical College was established in 1984 with the vision to lay a strong foundation for medicine by imparting the knowledge of physiology and to provide quality scientific research. The Department is well equipped and has excellent infrastructure. Digitalized research lab contains equipments for autonomic functions, exercise physiology and pulmonary function tests. We facilitate learning with innovative teaching -learning techniques and carry out translational collaborative research. Thrust areas of research include Yoga, Cognition, Autonomic function tests, Obesity, Exercise Physiology and molecular biology. Our Department is one among the first to have simulation lab for animal experiments. We conduct CMEs and guest lectures regularly.